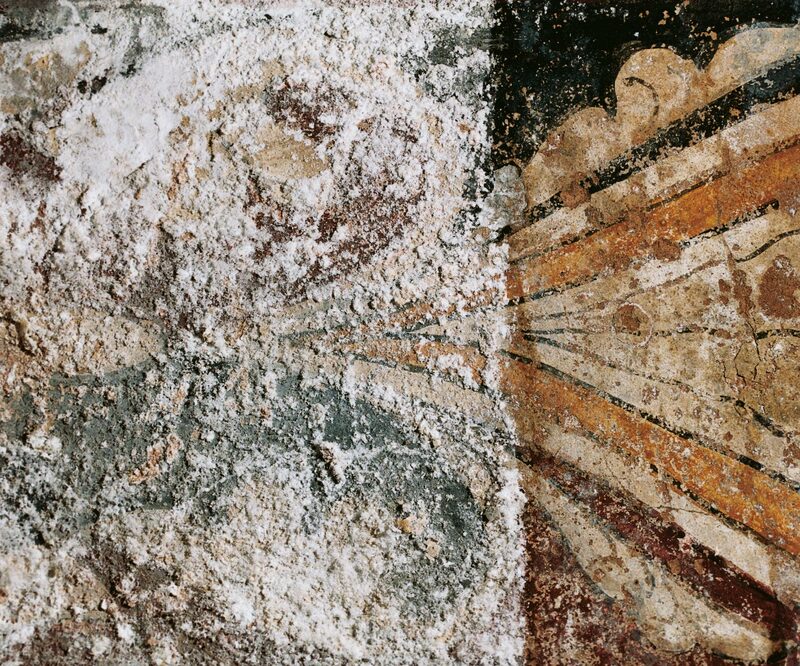 The conservation of the painted decoration in the dome of St Paul’s Cathedral was undertaken between September 2003 and January 2005. The scheme, executed by Sir James Thornhill between 1714-17, is the largest, and one of the most significant, church paintings in Britain. This ambitious project was made possible by the immense scaffold built specifically to access both the dome, cone, and tambour areas. Planning and implementation of remedial treatment programmes are based on the principle of minimum necessary intervention, and include testing and assessment to ensure that materials and methods meet the highest standards of conservation practice. We have extensive experience in the coordination of complex multidisciplinary projects involving a wide range of media, and work closely with other conservation specialists. In addition, we are proficient in all aspects of site management, including issues of Health and Safety and CDM regulations, as well as plant and access equipment.